Steven Butala: Today, Jill and I talk with guest, Justin Sliva, about the transactions that we’re funding and completing this week. Justin Sliva: Hey, how’s it going? Steven Butala: Guests. It’s a little bit more permanent than that. Justin Sliva: You did talk to your script writer. Steven Butala: Yep, that’s … yeah, sure. Before we get into it, let’s take a question posted by one of our members on the LandInvestors.com online community. It’s free. Jermaine … oh, sorry Jill. Go ahead. I’m slowly taking over. Jill DeWit: Are you okay? Jill DeWit: How much coffee did you have today? Steven Butala: I only had like two cups. Maybe that’s the problem. Jill DeWit: Oh, there we go. Okay, I’ve got three things: white [inaudible 00:00:55] … wait, MTV, coffee, we’ll get into all that. Justin Sliva: This is going to be therapy session today. Jill DeWit: It is. Oh, [inaudible 00:01:03]. Steven Butala: Let’s talk about the 80s and 90s, I can tell. Jill DeWit: Okay. Jermaine asks, “Has anyone sold their land business? If so, please describe the experience.” I am curious. Steven Butala: We alluded to this … we danced around this yesterday, but I put this in here intentionally because I’d like to hear what Justin has to say about that. Because I know you’re all exit strategy driven like we are. Justin Sliva: Yeah, I mean you put together the business and the LLC and you could sell the LLC as an entity, and everything that’s attached to it, all the assets, with it. So it’s pretty straightforward, if everything’s all together which one of the problems is if you have stuff in your personal name, stuff in your not LLC name, or other LLCs and you don’t have it tied together in one family. I mean, I have never done it, so I just assumed that’s how it would be done though. Steven Butala: And I really think what he’s asking here, and what I’m interesting in getting to the bottom of, is is this attractive to a potential buyer where you’ve got a bunch of 40 acre properties somewhere, you’ve got a website up, you’ve got inbound traffic, you sold some property, you’re buying some property, you’re all in the process. You obviously figured out whatever CRM you’re using, or whatever version of all that is all put together. Is it sellable or marketable? And is it too tied to our faces? Jill DeWit: Well that would be my fear. I would think that it would be a problem. Jill DeWit: How can you say … because there’s parts of this business that’s not a normal franchise kind of set up, that you can’t just throw them the keys and say, “You got this,” you know, kind of thing. It’s the whole picking a county, and pricing the mailers, and that the talent behind that takes a long time to develop. So I would say the only way it could work is somebody has to A, stay on for a while and run that part of the business and I guess until they’re comfortable and they can train somebody else to do it as well. Steven Butala: I don’t know, what do you think Justin? Justin Sliva: I think the only way that you’d be able to sell it is … what you’re saying is exactly right, the knowledge base which we’re taught, but if you created a business ahead. Say I had a client this week that had $80,000.00 a month, or $90,000.00 a month in cash flow properties coming in, so and he says he has a million dollars in receivables. 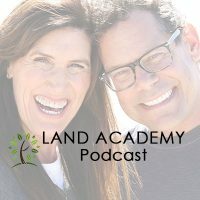 If somebody made an offer on that, they may say, “Hey, I’ll give you half a million dollars for your million dollars in receivables,” so you’re buying that part of the business, but it’s by the knowledge that somebody’s generated with our business as land investors, we can’t necessarily do that. So I think it’s kind of splitting hairs there, but yeah that’s kind of my thoughts on it. Steven Butala: Jill and I talked about this a little bit yesterday, but in every business there’s a cash flow component like you just mentioned. Let’s call it “The income statement”, and then there’s the balance sheet part where you’re just building this entity and eventually can sell it. Think of a manufacturing facility where there’s nobody, except for the CEO who’s kind of just sitting in the back watching everybody do stuff and solving problems, nobody’s face is attached to it. Steven Butala: So that’s what this business is missing, I think. Hopefully, the fact that it’s so profitable, like we’re not operating on 20% margins here. We’re operating on 198% margins. That’ll make up for the fact that that balance sheet component is slightly non-present potentially. Justin Sliva: Yeah, no you’re exactly right. You’re exactly right. Jill DeWit: I’m sorry, what? Just kidding. Steven Butala: She doesn’t feel it. You know what? Jill DeWit: And you lost me. Steven Butala: You know what else we’re talking about? We’re getting all these comments. For some reason, recently in the last couple of weeks we have gotten comments all over the Internet about how Jill and I are just screwing off too much. [crosstalk 00:04:40] you guys, [crosstalk 00:04:43] yourself. Steven Butala: “Why do you think you could sit there and have fun and laugh? You’re the only two people who really understand the jokes.” They’re all inside jokes. Justin Sliva: Wow, I was thinking about that last night. A buddy of mine’s took a vacation during spring break, and he’s like, “Oh, I’m just living that Land Investor lifestyle, you know?” And I’m like … It was 9:30 last night, and I was going through deals. I’m thinking, “Land Investor lifestyle?” You know, a random time I’m doing it, but we’re still going through deals. You have to generate deals to be able to enjoy those quiet times. Jill DeWit: Well I would like to know, Justin, because since the beginning of the year and fast forward to now, so we’re two and a half almost three months in here, both of us doing deal funding in some way or another, I’ve sensed, and I felt it too, the workload grow and I’m really curious how you’re doing. Are you getting any sleep? Have you got a good system going now? How’s it working out for you? Justin Sliva: Yeah, my second employee just came on. Justin Sliva: Yeah, and he’s actually based in LA so I’ll probably come out and see y’all here in the next month or two, come for a couple of days, so I’ll swing by and see y’all. But he’s actually based out there. He’s an intern with the Air Force, and so we brought him on full-time as he transitioned back into civilian life. Jill DeWit: Do we know him? Justin Sliva: Yeah, he is a Land Academy member. Jill DeWit: Was he at one of the events, and I think I know who he is? Justin Sliva: He was at our event. I don’t know … I know you’re thinking of his partner. Justin Sliva: You’re thinking of his partner. Yep, you’re thinking of his partner. Jill DeWit: Oh, okay. Well I know the group you’re talking about. Justin Sliva: So yeah, the deal flow had kind of slowed down this week, but we had some really profitable properties that we put contracts on. Nice deals. We had six that we okayed this week, five of them east of the Mississippi, one west of the Mississippi. The biggest margin was a $13,000.00 contract on a $90,000.00 property. Then a second was a $50,000.00 contract on a $180,000.00 property. Justin Sliva: Yeah, good numbers. Then your regular small ones, the 12 for 35, your 17 for 50, five for 16, so some smaller ones. Then an 11 for 30. So just our normal small gamut ones, but it’s been crazy. I’ve just been busy. Steven Butala: How much equity do you think you and your managers combined will generate this year? A ballpark. Justin Sliva: If we can keep the money turning, we’ve seen some slow down on sales just because of just escrow, and just not getting the money back out. Man, I think that we’ll probably see somewhere in the six to eight million dollars in equity we’ll generate in off-market deals and what we paid for it, for what it’s worth, pretty easily. I say that conservatively. Right now, we’re sitting on about three million dollars in value with a couple hundred thousand out there, $500,000.00 working right now. Steven Butala: We crossed over the million dollar mark this week. Steven Butala: That’s kind of what my goal has been without a tremendous amount of effort, and always helping our members, trying to generate I don’t know $1.2 million for ourselves in equity manually. Justin Sliva: Yep, and I tell people it’s pretty simple for us. I wanted to do a $10,000.00 a deal profit, and then two a week. That was what our goal was when we started [Plum 00:08:46], and we’re just smoking that. Jill DeWit: Yeah, no funny, I know. Justin Sliva: Take a break. It’s not all sunshine though. One of the house deals we got … We get hail in Texas, right? So we had a hailstorm come through Texas, and I have a house that’s closing within a week. A hailstorm comes through. They send a roofer to check it out. It needs a new roof now. Justin Sliva: You go, normally not a big deal right? You go get insurance, call your insurance agent and they tell you that they can’t find the policy number because their agent that they let go didn’t hit submit on your binder when you okayed everything. So, for those listeners who think it’s all sunshine and rainbows in the investment world, no we have issues. We smile about it. We laugh about it, because we know we’re just going to get blasted anyways. We’re going to take care of it and keep moving. Steven Butala: You know, the hailstorm hit on the land you guys own too, and it didn’t matter. Justin Sliva: Yeah, that’s what Adam told me on our podcast this week. Justin Sliva: Yeah, because you know what doesn’t get a roofer up? Land. Justin Sliva: Yeah, the land side of our business, we nailed seven counties this week so a lot of fun there. So we’ll see that just start booming in a couple of weeks. Steven Butala: Did you have any fantastic deals come in this week? Justin Sliva: Yeah. We had a deal like that come up, and it was a, “Hurry up. We have some health issues we need to cash,” and the deal was bought to me to fund. It’s in an area that I like to buy, and I’m pretty familiar with the market. The price just looked high. It looked out of the box. Then when I looked at it, people bought it for $8,000.00 in 2010. They’re wanting $32,000.00,” which the manager offered. I was like, “No,” so this is a $10,000.00 property. It’s going to sell for $32,000.00, and you feel bad for the health issues, but this is the best I could do in this situation. Jill DeWit: Exactly. Exactly right. Jill DeWit: We’re keeping it separate. It’s cool. Justin Sliva: That’s what we’re doing. I mean, it’s the exact same thing we do. Steven Butala: [crosstalk 00:12:02] on it. We’re not going nuts about it, you know? Jill DeWit: Or Land Tank. I’m telling everybody, “Hey-” I’m helping them out right away telling them good or bad, and if it’s a good one and I don’t want it, get it on Land Tank, and heck I’ll put it there for you. Like, [crosstalk 00:12:32] do that. Because it will get funded, and that’s totally cool. I’ve got something else even more exciting. Should I tell Justin? Do you want to tell here what we’re doing with the house thing? Jill DeWit: Right? On Tuesday, to Scottsdale for the day. Steven Butala: Yes, you already were there. Jill DeWit: I was already there. I’m already back. Justin Sliva: I’m already back. So let me tell you about my trip. Steven Butala: Cash in, cash out. Jill DeWit: Five days, but two and a half weeks to get escrow closed. Anyway, for 330. So, it was $28,000.00. We did nothing. Didn’t even sweep the floor. I have all the photos. I still have the posting showing what we did. Well, on March 6th this year, it just got done. The renovation just got done. Jill DeWit: Because I sold it to a flipper. Jill DeWit: Just to make fortune. Steven Butala: And make $100,000.00. Justin Sliva: But it’s taken a year. Jill DeWit: That’s the funny part. I talked to her and I said, “Hey, Maggie I want to interview you,” and she goes, “You don’t really want me to talk about all the problems I had, do you?” And I’m like, “No, that’s not really what it’s about. It’s okay. But I want to really just talk about how we found this deal for you.” You know, I did nothing. “I made this much money. You’re going to make this much money,” and what a great relationship we have now, and we can keep doing this again, and again, and again. Steven Butala: We’re wholesale people, so that was my first response too. You know, “Yikes,” but she’s got 10 of them going a time. She’s making a million bucks a year. Justin Sliva: Oh, exactly. I know exactly what. Steven Butala: And the whole thing … right. Right, so that just would make sense to them. Steven Butala: That’s just not what I want to do. Justin Sliva: Not what I want to do. I’m taking a break from that. [crosstalk 00:15:09]. Justin Sliva: I’m getting away from that as well. Steven Butala: The house looks great though. Jill DeWit: Oh, it looks gorgeous. Steven Butala: It’s all staged. Jill DeWit: Yeah. There’s one down the street for 595 with a pool that’s under contract right now. Steven Butala: These are houses that when I moved there in the early 90s we were buying for $85,000.00 and selling them for $110,000.00. Jill DeWit: It’s just crazy. Jill DeWit: Yeah, you’re right. I think that’s right. I think that one, I looked it up today, that 595 one, I have it on my computer right now. I think it sold for like 105 or 108 or something back in ’99. Justin Sliva: [crosstalk 00:15:56] tools. Jill DeWit: Exactly. This is a natural progression. It’s great. Steven Butala: And I had a real job and everything. It was pretty funny. Jill DeWit: You know, land flipping, as you know Justin, turns to house flipping. Now, imagine what you’re doing right now you just marked it up $30,000.00, Justin, and somebody else is dealing with the roof. Jill DeWit: Wouldn’t that be better? Justin Sliva: Yep, that’s why we did 21 of those year. Justin Sliva: [crosstalk 00:16:26] nope, I’ll wholesale it, but that’s it. Jill DeWit: Exactly. I’ll make less and get out. Steven Butala: Absolutely, way less. Jill DeWit: And let somebody else deal with that totally. We still have one that we’re dealing with right now. It’s our own fault for trying … it’s like, “Oh, it’s perfect retail.” It’s our own fault. I mean, that’s not who we are and I don’t want to be that person. So a whole different thing, and I wish them well. Steven Butala: Yeah, that deal is … We’re going to make a lot of money on this. Jill DeWit: I know [crosstalk 00:16:52]. Steven Butala: We made the right decision. Jill DeWit: We did. It just takes longer. It’s not my normal thing. You know, I’m like … 30 days in my comfort zone. Jill DeWit: Cash in, cash out, or less. If it’s a great land deal, one day. Steven Butala: The thing with retail, too, is you don’t have any control over it. Steven Butala: With this wholesale you can talk to people that renovate houses and you have to have control over who … And you can sell them stuff. Steven Butala: Retail, it’s just like you put in the MLS and kind of wait. Justin Sliva: The market dictates everything in retail. Jill DeWit: Yeah. Very true. So what’s coming up this week for you? Justin Sliva: Just finishing up the editing for our e-book we’re about to drop. Justin Sliva: So it comes pretty quick. That’ll be fun. We’re getting the cover page done, and then it will get syndicated so it will drop through the [crosstalk 00:17:40]. Jill DeWit: Are you just trying to get more people to do deals for Plum? Justin Sliva: No, actually it takes the COSO model, buying tax fee properties and selling them. We wrote it a while back, and it’s called … the title is still working, but Land Investing for Coffee Money. 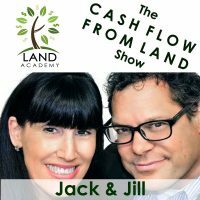 So, how you can start your land investment business for $5.00 a day. Steven Butala: That’s great, man. Justin Sliva: Yep, and then we talk about Parcel Fact, using the day pass in there for $5.00, and then we mention y’all in there. Jill DeWit: Well there you go. Justin Sliva: Once it’s final edit is done, I’ll send you a copy pre-release so y’all can say okay or no, if I need to pull your names out. But y’all are mentioned in there, and Land Academy by name. Justin Sliva: We’ll drop it with a digital marketing group that’s going to list it on every medium that actually sells e-books. Then it’ll be available there. First of all fee, and then half of that we’re going to donate to a home here. It’s called TK Ranch in Texas, and they help special needs adults live outside of their home and work. My grandmother founded it back in the 80s and somebody else bought it and took and ran it when she passed away. So we like to send a little bit of money every now and again up there to them. It’s our little give back. Jill DeWit: That’s cool. Super cool. Good, I can’t wait to read it. Justin Sliva: I’ll send y’all a copy over today if y’all want, and you can take a look at it. Jill DeWit: Yeah, I’d love that. [crosstalk 00:18:57]. 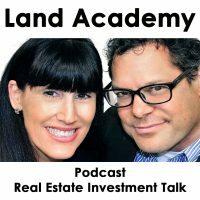 Steven Butala: Well you’ve done it again, you’ve spent another 15 or 20 minutes or so listening to The Land Academy Show. Join us next time for another interesting episode. Steven Butala: I’m trying to keep you guys on track. Justin Sliva: We segway a lot. Jill DeWit: Totally. So tell me again, how are Jessica and the kids? Justin Sliva: They’re doing good. Spring break, so the kids are at camp. They’re at big kid camp, so they’ve got five year olds to fifth graders with them, so they’re just loving life. They’re getting to hang out with big kids, and they’re just telling us all kinds of stories. Jill DeWit: That’s really cool. Jill DeWit: I hope they’re not coming home with any fifth grade bad habits. Justin Sliva: Yeah, they are. They are. You know how that goes. Jill DeWit: Yeah, yeah, yeah. Oh, totally. It’s like, “Ugh, I have de-program them every day.” Remember that. Steven Butala: I’m really happy for you, Justin. I’m also really glad it’s your turn and not mine. Justin Sliva: Yeah. Yeah, that’s why I like coming to LA every few months so I can out and kind of get away from that for a little bit. Justin Sliva: I’m going to for work. Is anybody coming? They don’t really know I’m coming, I just show up. Jill DeWit: Two weeks for work. Jill DeWit: Shovel the hair, and a bottle in a paper bag. Jill DeWit: “Let me in. Let me in.” That’s awesome. Steven Butala: This is exactly the type of nonsense that all of you on the Internet are referring to. Jill DeWit: Wherever you’re listening or watching, I know you like it, so please rate us there. Steven Butala: All right kid, we’re out.